“Empire” actor Jussie Smollett spoke at the Leighton Criminal Courthouse in Chicago on Tuesday. 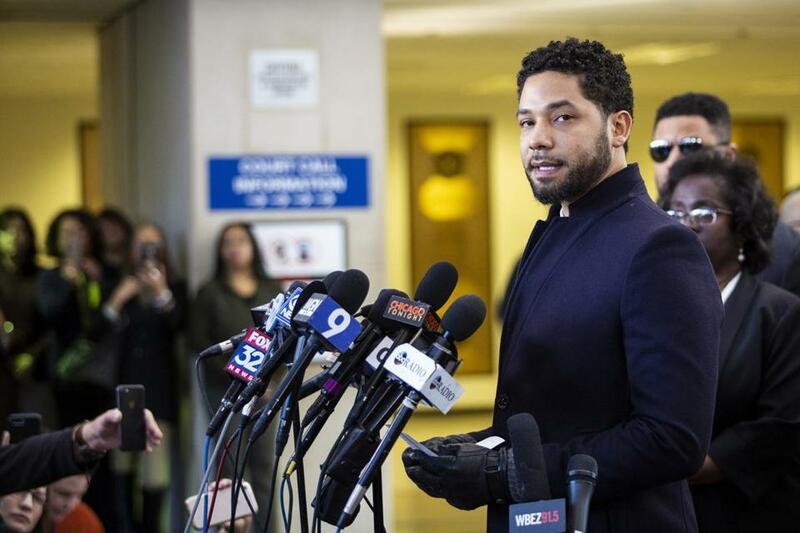 CHICAGO — Prosecutors on Tuesday dropped all charges against Jussie Smollett, an astonishing reversal that the ‘‘Empire’’ actor called vindication, but that the Chicago mayor angrily dismissed as a ‘‘whitewash’’ of allegations that Smollett lied about being the target of a racist, anti-gay attack. 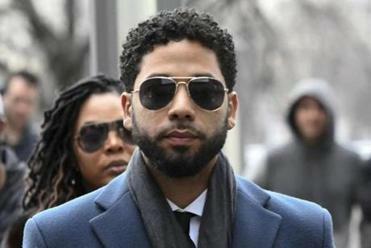 Attorneys said Tuesday that 16 felony charges accusing “Empire” actor Jussie Smollett of making a false police report about a racist and homophobic attack in Chicago have been dropped. ‘‘Now this casts a shadow of whether they’re telling the truth, and he did this all in the name of self-promotion,’’ he said. ‘‘I’ve heard that they wanted their day in court with TV cameras so that America could know the truth. They chose to hide behind secrecy and broker a deal to circumvent the judicial system,’’ Johnson said at a graduation ceremony for new police cadets. Smollett was accused of falsely reporting to authorities that he was attacked around 2 a.m. on Jan. 29 in downtown Chicago. Investigators said he made the report because he was unhappy with his pay on ‘‘Empire’’ and believed it would promote his career. He reported that he was assaulted on his way home from a sandwich shop. Smollett said two masked men shouted racial and anti-gay slurs, poured bleach on him, beat him and looped a rope around his neck. He claimed they shouted, ‘‘This is MAGA country’’ — a reference to President Donald Trump’s ‘‘Make America Great Again’’ campaign slogan. He asserted that he could see one of the men was white because he could see the skin around his eyes. The men are brothers Abimbola ‘‘Abel’’ and Olabinjo ‘‘Ola’’ Osundairo, and one of them had worked on ‘‘Empire.’’ An attorney for them has said the brothers agreed to help Smollett because of their friendship with him and the sense that he was helping their careers. Police have also said that before the attack, Smollett sent a letter that threatened him to the Chicago studio where ‘‘Empire’’ is shot. The FBI, which is investigating that letter, has declined to comment on the investigation.